Music is the heart of experiential prayer. Our worship experience is amplified and enhanced through melody, rhythm and harmony. From participatory moments to listening moments, from the elevating sounds of the choir to the communal voice of the congregation, our music stirs deep feelings within us and speaks to everyone. Cantor Lizzie Weiss and Rabbi Jonathan Aaron collaborate in a beautiful musical partnership that encourages participation in prayer while providing moments of pure meditation. Love music? Find out about how you can help bring our Music program to life by clicking here. We are working to bring you some of our favorite videos to this page. Please visit us on Youtube and see all our videos, including music from our services, concerts, and special events. We believe that music is the heart of experiential prayer. Using both traditional melodies and new ones, our clergy rely on the beautiful harmonies of music to help bring ancient liturgy to life. Listen to the moving voices and melodies stemming from the heart of our congregation and SING, SWAY, and FEEL the rhythm! Come Sing with Us! Our choirs are low-key and light-hearted, so don’t be shy! Learn more about our choirs, and come unleash the musician in you. Join our fantastic intergenerational group of singers, and participate in dynamic, cutting-edge Jewish music programming, commissions, and premiers of new Jewish choral works, and prayers, and songs. We sing and perform during High Holy Day Family Services, festival services, concerts, and special events during the year. For rehearsal schedule, call Cantor Weiss. Our Soul Singers are a very friendly crew of 3rd-7th grade religious school students who blend music, Judaism, community, and spirituality together in a fantastic mix of learning and performing. New singers feel welcome as soon as they join and will learn to read music, sing in varied languages, and learn songs from many genres, including Broadway tunes, traditional songs, and folk music from around the world. Our Shabbat Spark Service gets its energy from our spirited Soul Singers! Email Cantor Weiss at CantorWeiss@tebh.org to learn more about how your child can join. With Soul Singer experience under your belt, it’s time to lead our community in prayer and song! Talented and motivated post-B’nai Mitzvah students are asked or audition to be a part of the Temple Emanuel Junior Cantors. There’s no better preparation and experience for a passionate singer than leading our congregation in High Holy Days, Shabbat, and Festival Services throughout the year. For more information, please email Cantor Weiss at CantorWeiss@tebh.org. We are thrilled to bring you the most exciting nationally recognized Jewish voices as we host our Musical Artist Series. Here’s what’s in store for 2018–2019! The renowned klezmer band Mostly Kosher is back to perform at Temple Emanuel for yet another year! This group of seven talented musicians preserves the rich Yiddish culture while fusing contemporary jazz, Latin, rock, hip-hop, and folk. Come dance the night away with us! To learn more, visit their website www.MostlyKosher.com. Celebrate Hanukkah with music from three of our music groups! The Spark Band brings energy to Shabbat Spark, and they will illuminate our Hanukkah Party and Concert. The Soul Singers will share their Religious School learning through their joyous songs, and the Intergenerational Choir will unify our community in song. It is truly a Shabbat of Song as we celebrate the Torah portion where the Israelites cross the Red Sea! But this year, we will also reflect upon the lessons of Martin Luther King Jr. as this special Shabbat also coincides with Shabbat Tzedek, the Shabbat of Justice. For the second year, we welcome Leeav Sofer’s Urban Voices Project, a Skid Row Choir, bringing the healing power of music to those disenfranchised with homelessness, mental illness, and unemployment. Join us for the story of Irena Sendler, a Polish social worker who was enraged by the Nazi Occupation of Poland. She risked her life by rescuing children from the Warsaw Ghetto, saving over 2,500 lives. This event benefits the Los Angeles Museum of the Holocaust. Composed by TEBH congregant Megan Cavallari and playwright Mark St. Germain. Relive the tumultuous stories of the Megillah through the upbeat tunes of Bruno Mars! From “Uptown Funk” to “Count on Me”, this original take on the Purim story combines the 21st-century melodies you love with the traditional stories we cherish. You won’t want to miss this year’s Purim Shpiel! Help elevate our community’s musical programming by supporting the uplifting and powerful voices of our congregants, and the inspiring, heartfelt music which Cantor Weiss brings into our lives. Give in honor of your favorite Soul Singer or Intergenerational Choir member, in appreciation of Cantor Weiss, or in memory of a loved one. With your generosity, together we can make this temple the most incredibly soulful and expressive space in Los Angeles. Share your appreciation of our musical life by donating to any of the musical endeavors listed below. $36 FAN: Name plate in TEBH Music Library Book. $100 GROUPIE: Cantor Weiss’s voice on your outgoing cell phone answering machine. $500 DEVOTEE: Recording of Cantor Weiss singing a song of your choice or personalizing a song as a gift for someone or alternate choice of perks listed above. $1,000 SHOWRUNNER: Private prayers/song/ritual melody lesson (Shabbat, aliyah, shma, etc.) or alternate choice of perks above. $5,000 BACKSTAGE PASS: Private sing-along with a group of members & members’ friends or alternate choice of perks above. $18,000 MUSIC AMBASSADOR: Private concert for you and your friends or alternate choice of perks above. $36,000 PRODUCER: Online and print credit for live streaming of all musical events and alternate choice of perks above. $180,000 EXECUTIVE PRODUCER: Special “meet and greet” dinner with Clergy and Musical Series Artist. Private Producer Oneg before the service or concert. Reserved seats at Musical Artist Series events or alternate choice of perks above. $360,000 EXECUTIVE PRODUCER MUSIC SERIES: Series will carry donor’s name. Sponsor will be able to host a salon musical evening at a location of their choice with Rabbi Jonathan Aaron and Cantor Lizzie Weiss. Sponsor will also receive all benefits listed above. 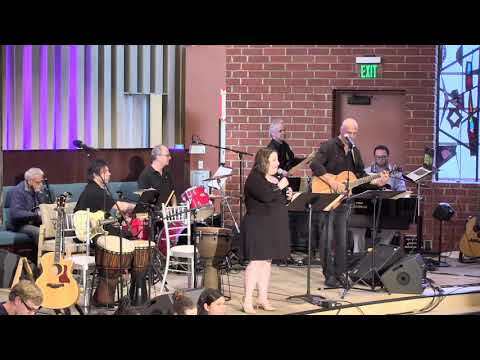 As cantor of Temple Emanuel of Beverly Hills, I live the most meaningful life I can imagine – a life dedicated to helping others connect to their spirituality through music and torah. There is no other career where I could use my heart, soul, body, and mind so fully. I am privileged to walk alongside people through the most joyful and painful moments of life – weddings and funerals, baby dedications and illnesses – and bring them solace and joy through song and sound. As your cantor, I am able to help people make sense of traditional texts and song, and to both pass on tradition and invent new meaning through music. Thank you for partnering with me to enrich our musical experience. We believe in the power of love and community, and we are deeply grateful for any amount you are able to contribute to help us reach our goals. Thank you for helping us sing the world alive!